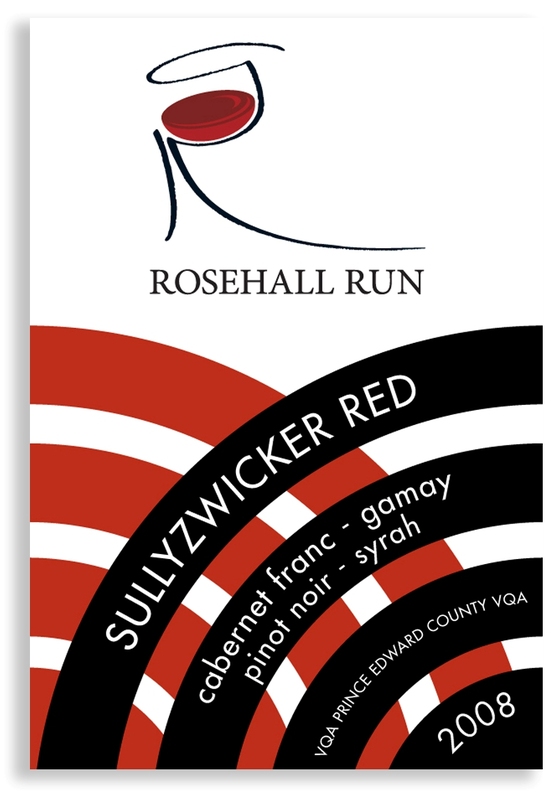 Just discovered the Rosehall Run brilliantly named Sullyzwicker Red from Prince Edward County – it was $2 off and easy to find on the end aisle at the LCBO. I like the sour cherry that I get in this blend of 48% Cabernet Franc, 26% Gamay, and a smattering of Pinot Noir and Syrah. 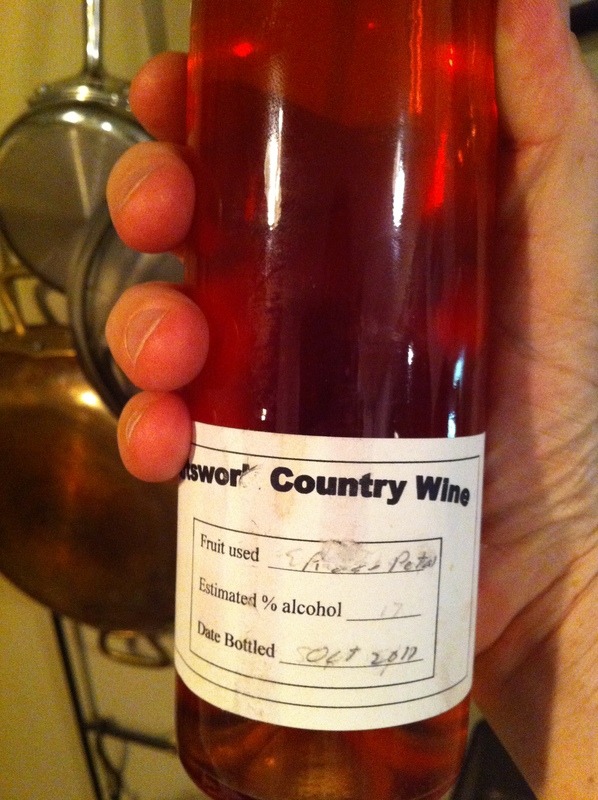 It reminds me of a nice summer BBQ wine. 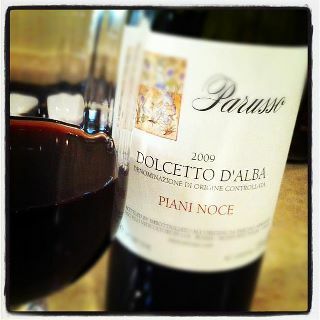 Maybe it’s me longing for the Mediterranean sun but it tastes like a Macon Gamay from France or a Bardolino from Italy. I don’t think we need to recork this bottle tonight. The name is a blend of winemaker Dan Sullivan‘s name and the word Edelzwicker – a German term that is used to describe blended white wines. Great name and a great red wine that will become a party favorite once everyone discovers it. I am resolute in my New Year’s Resolutions. Why do we make them? To have more fun in the coming year of course. I asked my grade 12 class if they made resolutions and they looked at me like I was some sort of fossilized alien – more so than usual. 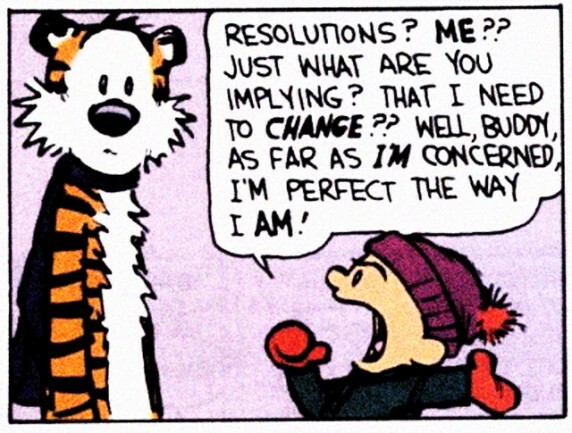 I argued that resolutions made life more fun and interesting – still nothing from them. I’m already well underway with my 2012 resolutions – one of which was to try cooking different proteins (“the non-meat kind?” my wife asked – silly girl). Duck confit was on the menu already and rabbit has also been braised. But the resolution, of which I am resolute, that matters for this blog is my resolve to drink wines that I don’t usually drink. I’ll let you know what I find. This was a nice Pinotage blend from South Africa – I think I got the last one in Guelph – but tell me what wine you are going to try this year? If you buy meat from your butcher – and why wouldn’t you – do you ask him how to prepare it? I bought a rabbit Saturday. “Domestique?” you may ask? “UN LAPIN” I would reply with a loud French accent – while making that kissing your fingers movement that somehow signifies delicious food. It came cut into pieces which is nice since bunnys are cute and I was too hungry to have second thoughts about cooking my first rabbit. I asked Andy (said butcher) how to cook it and he suggested braising it for 3 hours in white wine. 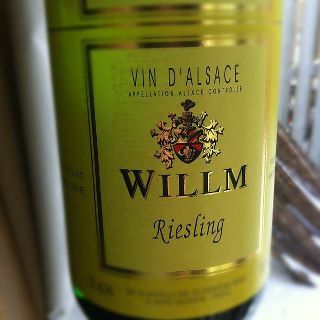 I chose a Riesling from Alsace for my Rabbit – it was delicious – thanks Andy. Cool thing about the wines of Alsace – There is a legal requirement for bottling Alsace wine in tall bottles commonly called flûtes d’Alsace. Disclaimer – if you have a pet rabbit don’t let them drink Riesling. It’s not good for them. Besides that, rabbits prefer beer – you know because of the hops. A free app for my iPhone is changing the photos I take for this blog (and Facebook) – at least until I find the next great app to replace it – Instagram. Instagram is used by my personal hero Jamie Oliver and the even better Gennaro Contaldo (Jamie’s fantastic Italian chef friend). They post photos of their food almost every day using cool filters and lenses from the app. This is beginning to feel like a linktrap crossover blog post. 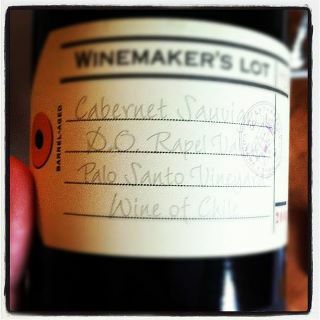 These wines were very good too – great Cab from Chile and a smooth Dolcetto d’ Alba. Bespoke – who do you trust? 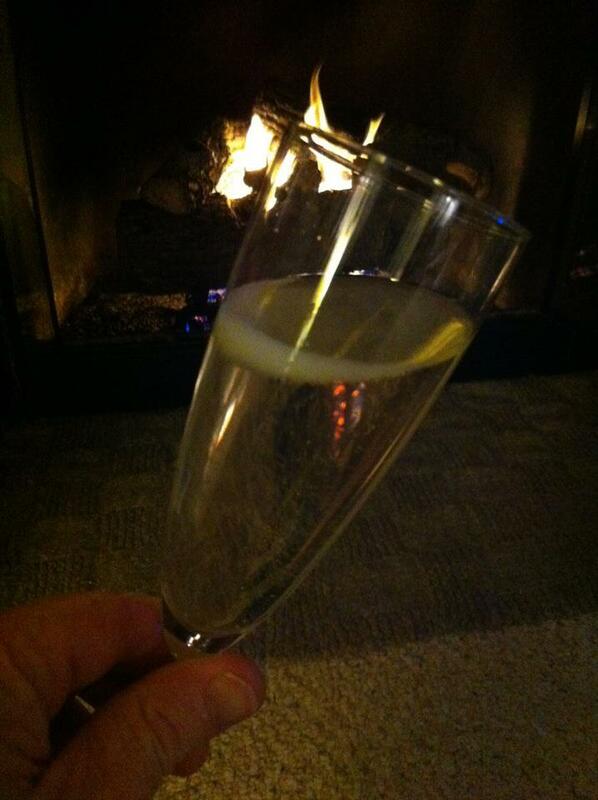 There are three important people a gentleman needs in his life – a good mechanic, a good tailor, and a good winemaker. Also, I learned a cool new word today that I wish I had known all my life – Bespoke – I think there’s a bit of English gentleman in me waiting to get out. Bespoke English pronunciation: /biˈspoʊk/ is a term employed in a variety of applications to mean an item custom-made to the buyer’s specification (personalized or tailored). While applied to many items now, from computer software to luxury car appointments, the term historically was applied only to tailored clothing, shirts, and other parts of men’s apparel involving measurement and fitting. The distinguishing points of bespoke tailoring are the buyer’s total control over the fabric used, the features and fit, and the way the garment should be made. More generally, bespoke describes a high degree of “customization“, and involvement of the end-user, in the production of the goods. I’m sure my wife is embarrassed that I didn’t know that word – I know that her friend DaniBP will be. I want a winery that can “bespoke” wine for me? I tell them what grape varietals I like, how long I want it aged etc. and then I get to come up with my own name for those wines. 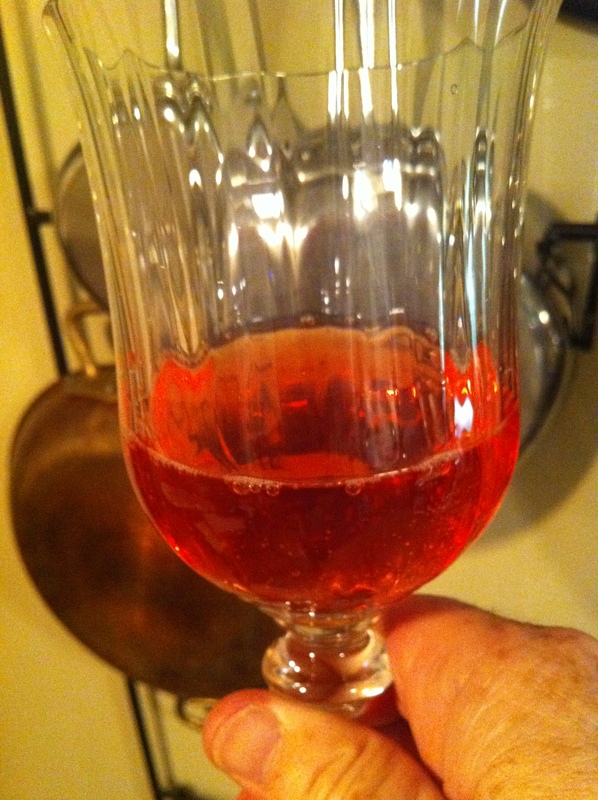 Who am I kidding – I need a good winemaker to help me do that. Come to think of it, I would probably also keep asking my tailor “what do you think?” through the entire process of getting my suit. That’s why we have winemakers. They take each year’s harvest work the grapes in the manner thatbest highlights them. Each year I buy the new vintage of winemakers I trust like LAN, Muga, and Guigal. Find a good winemaker you can trust, a good mechanic, and a good tailor and you’re set. 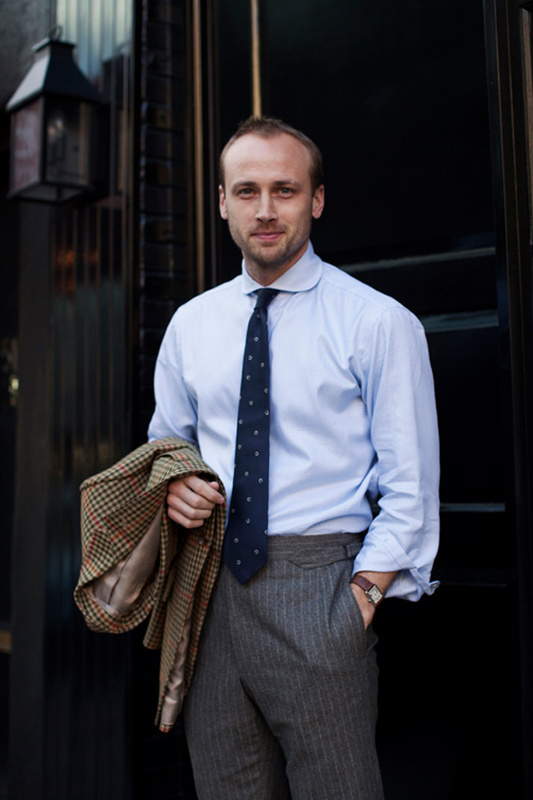 While I’m at it – would somebody please bespoke this entire outfit for me that I saw on the sartorialist website? I think I’d look good if I spent an enormous amount of money on my clothes.